London: Europhone Language Centre, 1991. Textbook. Very Good. Stiff Glossy Wrappers. 4th Edition.. 123 pp., about 70 devoted to language lessons, the remainder, travel pointers. Previous owner's name on title page. No other markings.Diagonal corner crease on front cover. Bright glossy coovers showing drawing of drums, and photo of a mosque. No cassettes included. A 6-page workbook drill (Lesson 6) is laid in. Introduction promises mastery of elementary Malay within a month, based on daily one-hour practice sessions. Designed for English speakers. Size: 8vo -- 8.5 In Tall. 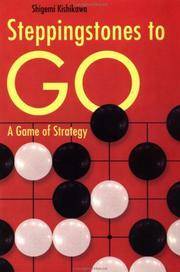 New York: Metropolitan Books (Henry Holt), 2000. Book. Fair. Boards with Cloth Strip.. 5th Printing.. 612 pp. , numerous b&w historical photos on glossy paper. Text clean but dampstains on front cover, endpapers and dj. Satisfactory as reading copy. 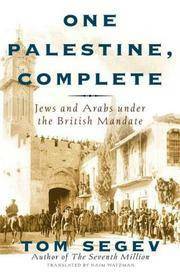 Binding OK. A detailed but readable history of colonial Palestine. Size: 8vo -- -- 9.5 In. 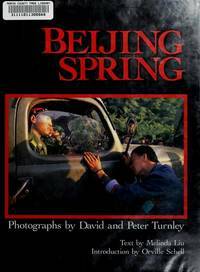 By Dietz, Betty Warner and Park, Thomas Choonbai, Eds. NY: John Day Co., 1964. Book. Very Good +. Photographic Cloth. First Edition.. 47 pp. and flexible plastic 33 rpm record in rear pocket. Light foxing and flap crease on jacket, closed tear on rear panel. Chip at top of spine.Text clean. Not an ex-library copy. Features 9 chinese songs, 8 Japanese songs and 8 Korean songs, presented for school children. Features simple piano melodies in the pentatonic mdoe; lyrics in English and Oriental characters; notes on pronunciation and reference materials. The editors say they selected songs that are "messengers of sorrow and joy, hope and despair and the beauty of nature." Size: Folio -- 12 in Tall. Los Angeles: Self-Realization Fellowship, 2011. Book. Very Good +. Trade Papeback. 448 pp. Handsome copy of updated edition of a book first published in 1946. Numerous b&w historical photos, and large color photo of the author on the front cover. Corner crease on front cover; text clean. Spine uncreased. Yogananda spent many decades in the United States, introducing westerners to yoga and Hindu beliefs. His life story, written in an informal first-person voice, recounts his spiritual growth, his founding of the Self-Realization Fellowship in California, and his encounters with luminaries ranging from Gandhi and Rabindranath Tagore to Calvin Coolidge. 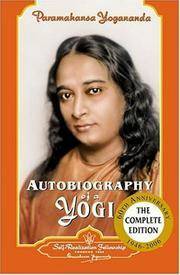 Several chapters give portraits of other modern saints, including Yogananda's personal guru, Sri Yukteswar of Puri, and his encounter with a resurrected Yukteswar. Yogananda died in 1952, but reportedly his corpse showed no decay for weeks prior to burial. Size: 8vo -- 9 in High Later Printing of the 1998 Edition (13th..
NY: NY Times, 2005. Newspaper. Good. Newspaper Supplement. 62 pp. Moderate wear at stapling. Pages intact. Cover story by Nir Rosen looks at Kurd life and poltics in the Kirkuk region of northern Iraq. Includes color photo at Gen. Rostam Hamid Rahim at a field office of the Patriotic Union of Kurdistan. Many details of ethnic rivalries. Issue also includes a profile of baseball rookie Kendry Morales and a Bard College professor's account of teaching inmates inside Napanoch State Prison in the Catskills..
Agra, India: Radhasoami Satsang Sabha, 1960. Book. Near Fine. Cloth. First Thus Stated.. 176 pp. , index., frontispiece photo of author, with glassine protector. Text clean, some foxing on endpapers. Beige-colored boards very clean, slight wrinkle on spine, hinges reinforced, binding sturdy. A guide to a Hindu sect founded in the mid-19th century in Agra by Shiv Dayal singh Sahab, also known as Soamji Maharaj (a cognate of Swami in Anglicized Hindi). The sect emphasized the discovery of God within oneself through meditation and teaching by a spiritual guide (guru) in a puritanical ashram setting. The faith disdained idols and devotion to such external gods as Krishna or Shiva. It also rejected the caste and class systems of traditional Hindu society. This edition of the founder's teachings, which were first published in 1906, was produced by the "Third Leader" of the sect. Not a print-on-demand facsimile. Size: 8vo -- 9.5 In. Tall. NY: Arkana (Penguin), 1991. Book. Very Goood. Trade Paperback. 11th Printing of Arkana Edn... Lengthy note to gift recipient on inside cover. No other markings. Moderate edgewear and light soil on covers, some curling. Binding firm. 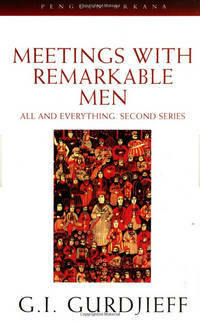 Reprint of a philosophical autobiography/travelogue first published in UK in 1963. Author relates his quest for ancient wisdom that he believed was rooted in Central Asia and the Middle East. Size: 8vo -- 7.75 In Tall. New Delhi: Manav Utthan Sewa Samiti Book. Very Good. Cloth. 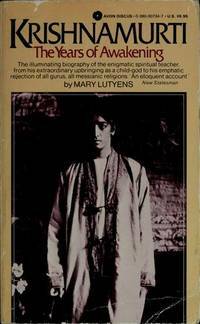 First Edition.. 280 pp., plus additional rear material. Dark blue cloth. Corners bumped and rubbed. Light wear to dj .No markings. No publication year given. Edited by Helen Clapham. A guide to overcoming mood swings and depression through meditation. Includes material on the law of karma, brain rest, yoga and slowing down the mind. A collection of satsangs (discourses), interpreted through scientific terminology. Author, born in 1951 in Hardwar, India, is a guru who oversees scores of ashrams throughout India. The ashram locations are listed in the rear of the book. No ISBN listed. Scarce, seldom seen title. Size: 8vo -- 8 in Tall. Washington: National Geographic Society, 1992. Book. Good. Magazine. Vol. 182, No 2.. 130 pp. Light wear, some page corners creased. No markings. "Struggle of the Kurds," the 27-page cover story, describes the Kurdish people and atrocities they suffered in Iraq from Saddam Hussein before he was toppled in the First Gulf War . 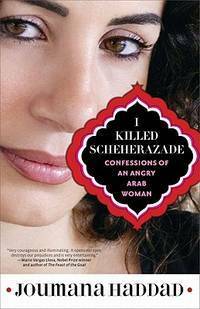 Article was the first Natl Geographic assignment by the late essayist Christopher Hitchens. Includes a full page map of Kurdistan as it stretches across Iraq, Syria, Turkey and Iran. Other a rticles features the Main-Danube Canal, Denali National Park, Paraguay and the Chinese Emperor's Tomb. Size: 4to -- 10 in Tall..